Actor Adrian Lester announced the nominations for the 15th annual Moët British Independent Film Awards (BIFA’s) at St Martins Lane, London earlier this afternoon. The films that received the highest number of nominations include Broken (9), directed by Rufus Norris and starring Tim Roth and Cillian Murphy; Berberian Sound Studio (7), directed by Peter Strickland and starring Toby Jones; and Ben Wheatley’s Sightseers (7), starring Alice Lowe and Steve Oram. 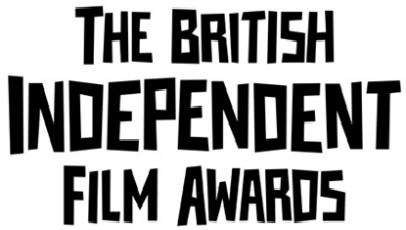 Other nominees for the BIFA’s range from Bart Layton’s knockout documentary The Imposter; John Madden’s comedy-drama The Best Exotic Marigold Hotel; Carol Morley’s Dreams Of A Life; and Benh Zeitlin’s slice of fantasy drama Beasts Of The Southern Wild. In the acting fields, Meryl Streep scores a nomination for her take on Margaret Thatcher in The Iron Lady, while Olivia Colman continues her rise to fame with a nomination for her performance in Hyde Park On Hudson. The winners of 15th annual Moët British Independent Film Awards, which are handpicked by a 16 person strong jury, will be formally announced by actor James Nesbit (soon to be seen in The Hobbit: An Unexpected Journey) on Sunday, December 9 at the Old Billingsgate in London. To check out our reviews of some of the aforementioned films, head over to the Reviews A – Z page.